Westie really are the Best in Show... We're off to Crufts! It's that famous time of the year again. The one where all doggie get nose twitches and sense of lot of treats coming their way! Thats right, its time for Crufts. I got to attend with my Hooman last year as part of the very important press team, and was top doggie repawter! We had such a brilliant time and make a real weekend of it. 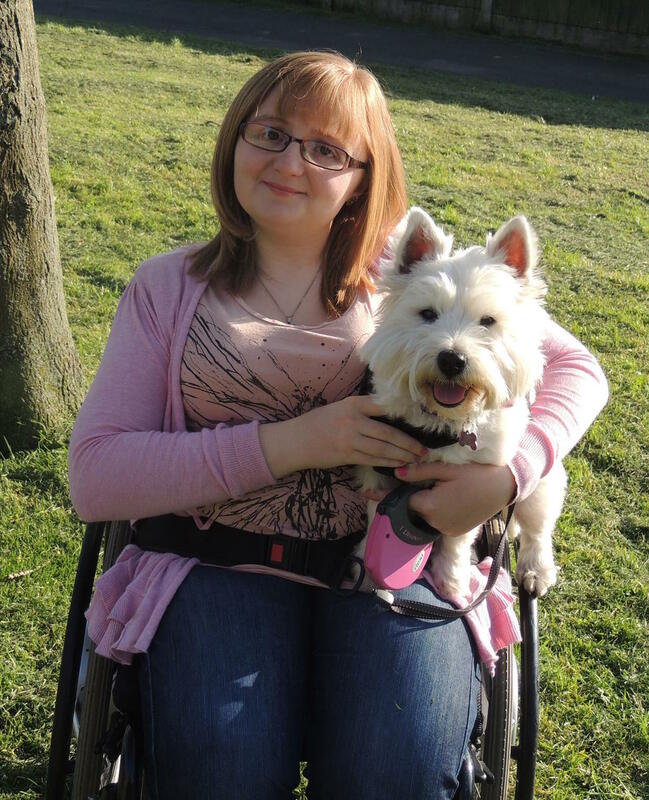 Even better Marie Burns and Devon the West Highland White Terrier won the ulimiate prize of Best in Show. It was certainly the icing on the cake of an amazing weekend. Well guess what? We have been invited back this year! How great is that. We will be there on Saturday the 11th March, which is Gundog day. In 12 months we have grown our blog and followers lots, we know lots more people than we did this time last year. (I think its great as I always get more treats). We hope to meet lots of you there, whether you follow us here, on our social media or know us in person, don't forget to stop and say hi. 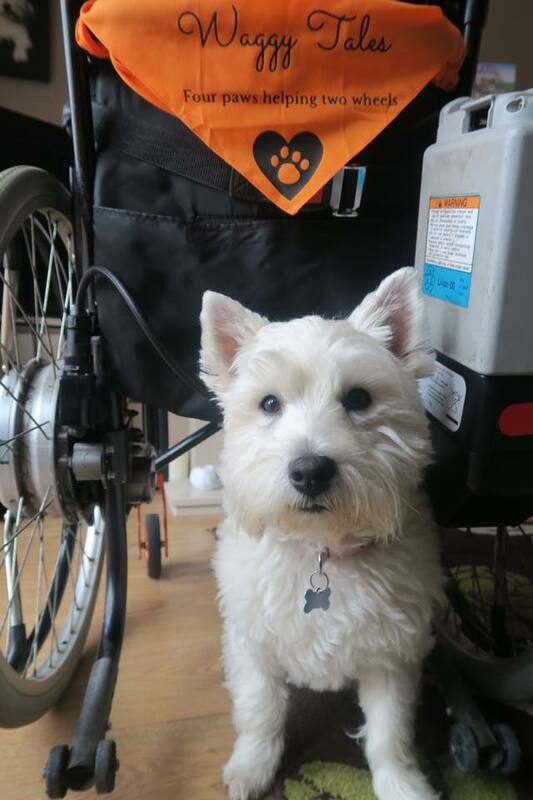 You will be able to spot us as mummy will have this orange bandanna on the back of her wheelchair. Also she will be the human trying to juggle me, her wheelchair as well as whist snap shooting every opportunity. 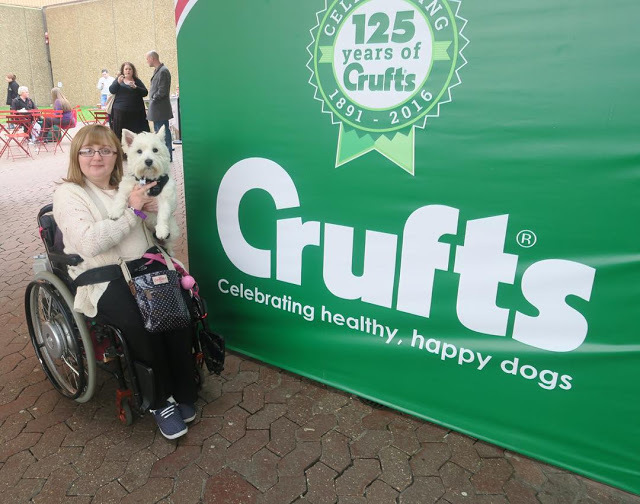 Channel 4 from 7.30pm - 9pm on Friday 11th, and 7pm - 9pm on Saturday 12th and Sunday 13th.The exciting climax of Crufts - Best in Show - will be judged at 8:30pm on Sunday and will be shown live on Channel 4.